Search Party – a treasure hunt in search of … a secret party! 3 routes, 3,000 free tickets and 1 secret party – For those who could find it. 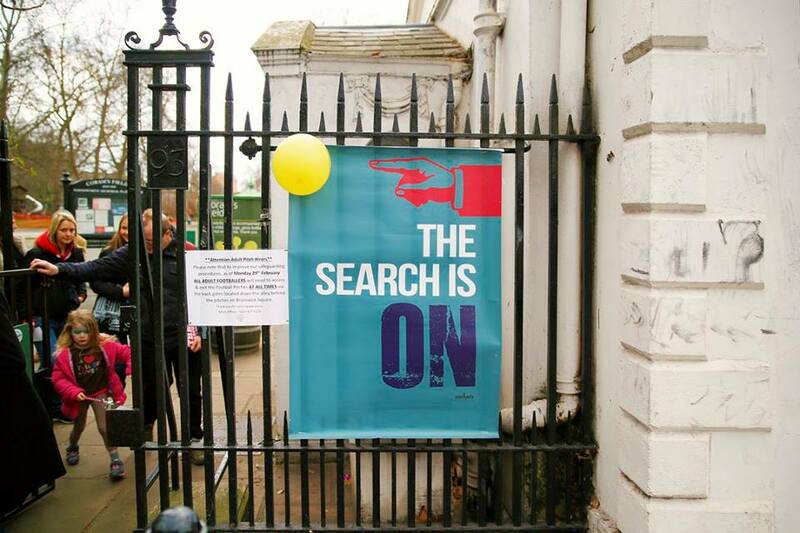 Commissioned by the Mayor of London, Search Party was the flagship event for the Find Your London Festival. On March 20th, London’s pocket parks, squares and piazzas were transformed into an immersive green playground. 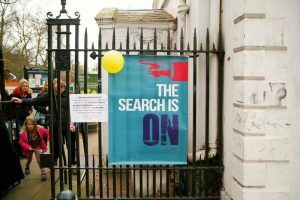 Three trails of clues and capers lead and mislead 3000 participants through hidden gardens, secret squares and side streets. Participants needed to collaborate, take risks and interact with strangers as they found their way for a secret party. En route, they’ll find themselves solving riddles, taking taste tests and even herding sheep. Each solved clue yields part of the party address. Clues will reveal themselves in surprising ways: a message in a bottle, an actor disguised as a gardener, an unmarked taxi parked nearby … Tricky? Maybe: but a good party is worth searching for.